Radha Jagannathan is a Professor of Statistics in the Urban Planning & Policy Development Program at the Bloustein School of Planning and Public Policy. 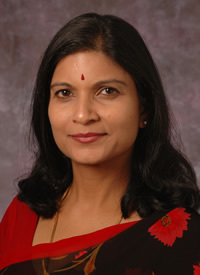 Professor Jagannathan received a Ph.D. in Public Affairs from the Woodrow Wilson School of Public and International Affairs, Princeton University, in 1999. She has been a Visiting Research Collaborator at the Office of Population Research from 2000-2011 and a Visiting Fellow at the Bendheim-Thoman Center for Research on Child Wellbeing at Princeton University during 2005 and 2010. Dr. Jagannathan received Fulbright Scholarships to Germany (2010) and Hungary (2014) to conduct seminars on policy analysis and use of econometrics at the University of Konstanz, Germany and the Central European University, Hungary. She is the recipient of the 2010 Frank R. Breul Memorial Prize from the University of Chicago for her research published in the Social Service Review. She also received a DAAD Fellowship to the University of Konstanz in 2007, and the Jerome G. Rose Distinguished Teaching Excellence Award at Rutgers in 2007. Dr. Jagannathan’s main research interests are in the areas of youth and public welfare. Her recent research has examined the impact of welfare reform on women’s fertility behavior and their mental health, children’s living arrangements, poverty, and incidence of child abuse and neglect. Her research has appeared in the Journal of Labor Economics, Journal of Economic Perspectives, Research in Labor Economics, Journal of Marriage and the Family, Journal of Policy Analysis and Management, American Journal of Public Health, American Journal of Evaluation, Social Service Review, Child Abuse and Neglect, and Social Science & Medicine. Jagannathan recently completed a book for Oxford University Press that attempts to provide a decision making framework that makes the provision of child welfare services in the U.S. more effective. Dr. Jagannathan’s current evaluation research involves assessment of youth employment programs in several U.S. cities sponsored by Johnson & Johnson. Collaborating with faculty from the School of Environment & Biological Sciences at Rutgers and funded by Johnson & Johnson, Jagannathan has also developed and implemented a nature/science exploration program called Nurture thru Nature (NtN) for New Brunswick elementary school students (ntn.rutgers.edu). The program is designed as a classical experiment and has shown promise in increasing the science, math, and language arts grades of NtN participants relative to non-participating peers. Jagannathan is also one of the principal architects of an EU-funded, 10-country youth unemployment study entitled Cultural Pathways to Economic Self-sufficiency and Entrepreneurship (CUPESSE) conducted in Austria, the Czech Republic, Denmark, England, Germany, Hungary, Italy, Spain, Switzerland, and Turkey . Her teaching interests include courses in statistics, econometrics and research methods and other substantive courses in the area of demography, community and international development, and poverty. 2017: Jagannathan, R., M. J. Camasso, M. Bagavandas, J. Tosun, and K. Sadagopan. (2017) “Family, Society, and the Individual: Determinants of Youth Entrepreneurship in South India.” Journal of Global Entrepreneurship Research, 7:14 DOI 10.1186/s40497-017-0070-6. 2017: Jagannathan, R., and M. J. Camasso. (2017) “Social Outrage and Organizational Behavior: A National Study of Child Protective Service Decisions.” Children and Youth Services Review, 77: 153-163. 2017: Camasso, M. J. and R. Jagannathan. (2017). “The Nurture thru Nature Program: Creating Natural Science Identities in Populations of At-risk Children.” Cambridge Journal of Education, https://doi.org/10.1080/0305764X.2017.1324020. 2016: Camasso, M. J. and R. Jagannathan (2016). “The Future of the Family Cap: Fertility Effects in 18 Years Post-Implementation.” Social Service Review, 90(2): 264-304. 2015: Camasso, M J. and R. Jagannathan (2015). “Risk Management in Child Protective Services: A Balanced Scorecard Approach.” Child Welfare, 93(3): 47-75. 2014: Camasso, M. J. and R. Jagannathan (2014). “The social outrage routinization process in child protective services (CPS) system: A case study.” Journal of Policy Practice, 13:177-199. 2013: Jagannathan, R. and M. J. Camasso (2013). The Decision to Protect Children in an Age of Outrage: A New Perspective on Child Protective Services Reform. Oxford University Press. Jagannathan, R. (2006). “Economic Crisis and Women’s Childbearing Motivations: The Induced Abortion Response of Women on Public Assistance.” Brief Treatment and Crisis Intervention 6:52-65. Jagannathan, R. and M. J. Camasso (2005). “Beyond Intention to Treat Analysis in Welfare-to-Work Studies: The Efficacy of Labor Force Attachment, Human Capital Investment and Combined Strategies for Self-Sufficiency.” Journal of Social Service Research 31: 43-60. Jagannathan, R. M. J. Camasso, and S. McLanahan. (2005). “Welfare Reform and the Formation of No-parent Families: Pinpointing Affected Child Populations.” Social Science Quarterly 86: 1080-1103. Jagannathan, R., M. J. Camasso, and M. Killingsworth (2004). “Do Family Caps on Welfare Affect Births Among Welfare Recipients? Reconciling Efficacy and Effectiveness Estimates of Impact through a Blended Design Strategy.” American Journal of Evaluation 25: 295-319. Jagannathan, R. (2004). “Effect of State Policies on Children’s Living Arrangements.” Children and Youth Services Review 26: 121-141. Jagannathan, R., M.J. Camasso, and M. Killingsworth (2004). “New Jersey’s Family Cap Experiment: Do Fertility Impacts Differ by Racial Density?” Journal of Labor Economics 22(2): 315-346.